We're so glad that you are joining COE for your first ever COExperience. We know it can be a bit overwhelming so we've complied some resources to prepare for your time in New Orleans. To help you arrive at your first COExperience with confidence, here's a video that shares what to expect! COExperience offers more than 100 hours of education mapped to industry solutions, best practices and user experiences that are most relevant to you. 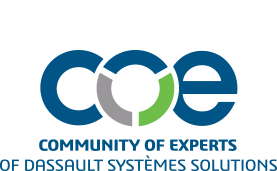 COE University sessions provide attendees with hands-on training and relevant, detailed product information on the latest Dassault Systèmes solutions through live demonstrations and training sessions. Yes! Stay up to date on the latest conference information and any room or session changes by downloading the COExperience Mobile App. You can access the app from any laptop or web enabled smartphone or tablet. Download the app by searching “COExperience” in the Apple iTunes store or in Google Play. Search attendees with in-app networking. Be sure to enable networking in your profile under the settings icon in your dashboard tool bar. How do I manage my time? Session information is updated in the mobile app and in your saved personal agenda in real time. To build an agenda, tap the “Schedule” icon. All sessions will appear by day in chronological order. Tap the "Star" icon to the left of each session title to add it to your agenda. Access your agenda by selecting “My Schedule” from the home page. Email coe@coe.org with any questions! The TechniFair will feature 30 vendors showcasing the latest innovations and solutions. The COrE Connect Lounge will be a networking hub in the TechniFair, where all attendees can come together, engage with fellow members, watch the 3DDerby races and meet with members of the COE Board of Directors to learn about COE membership and year-round activities. How do I register for add-on events? For each session that you choose to add to your registration, there is an “Add” button next to the session title. Start tweeting and sharing on Facebook using the hashtag #COEXPERIENCE to get the conversation going. You'll also want to follow the COE LinkedIn Company Page for live updates during the conference! Most every question you have about COExperience can be answered on our website. Still stumped? Email coe@coe.org before the conference. At the conference find a COE Staff Member (usually found at the registration table) who can help.